under the artistic direction of early music specialist Josephine van Lier. 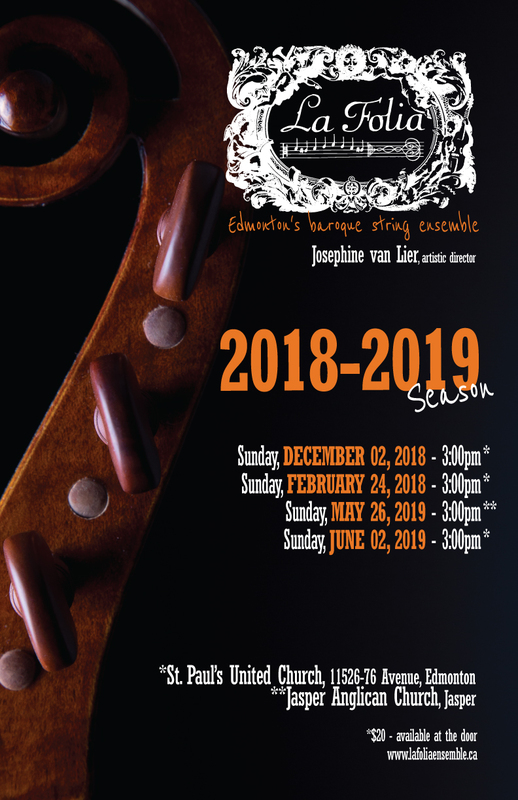 Founded in 2012, La Folia under the direction of Josephine van Lier is a string ensemble dedicated to the historically informed performance of early music. Their repertoire includes many works by little known composers from the renaissance and baroque eras. Much of the music they play has never been published, they regularly play from original (and difficult to read) manuscripts, inclusive of the multiple clefs that were regularly used in the period. Most of the musicians play on (copies of) period instruments and bows and use historic strings. The ensemble rehearses weekly on Tuesday evenings and have several performances per season. In addition La Folia has accompanied choirs wishing to work with a period string ensemble for their performances.